Bright Two Bedroom Basement Suite in Desirable Allendale Area! Close to LRT and across the street from Allendale Junior High School and Field! 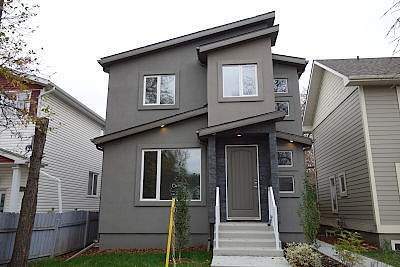 Built in 2016, this stunning infill home is equipped with modern finishings and efficient appliances including your own controllable furnace and hot water tank. Beautiful flooring throughout this open concept layout. The kitchen features a large pantry complete with stainless steel fridge, stove, built-in microwave and even a dishwasher! There is a large front hall closet, as well as extra storage under the stairs. Two large bedrooms and a large full bathroom complete this unit. Plus you'll enjoy your very own insuite laundry!! Utilities are 175$ Monthly Flat Rate.